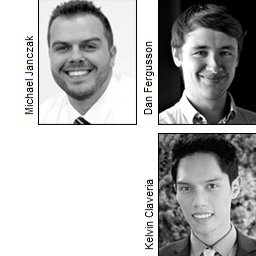 In Canada, insight tech business Rival Technologies has hired three former Vision Critical execs: Michael Janczak and Dan Fergusson as Vice Presidents of Sales and Business Development, and Kelvin Claveria as Marketing Programs Manager. Rival was set up in 2017 by holding company Reid Campbell Group, which was founded by former Millward Brown Global CEO Eileen Campbell, Vision Critical founder Andrew Reid and his sister Jennifer as a 'launch pad' for innovation in consumer insights. Rival applies a conversational approach to gathering insights from mobile-first consumer bases. Through its research platform, the company enables clients to create 'mobile agile' communities of customers, fans or employees that can be continuously engaged for insights. Janczak joins after eight years at Vision Critical, most recently as its VP of Business Development, while Fergusson has been working in the technology industry for almost a decade, six years of which were spent at Vision Critical, latterly as Director of Sales. Claveria was previously Vision Critical's Content Marketing Manager, having joined the firm as Social Media Marketing Assistant. In their new business development roles, Janczak will focus on the healthcare, utilities, finance and automotive verticals, as well as consumer packaged goods; while Fergusson will cover the media, sports, entertainment, retail, technology and telecoms sectors. Reid comments: 'People aren't filling out e-mail surveys anymore, they're on apps like Snapchat, Instagram, WhatsApp, SMS and Facebook Messenger and our clients look to us to reach their customers on the platforms they use and engage with most. Dan and Mike are brilliant at connecting brands to the tools they need and I'm stoked to have them on the Rival team'. Web sites: www.reidcampbellgroup.com and www.rivaltech.com .